The 4th IFToMM Asian Conference on Mechanism and Machine Science was held on Dec 16-17, 2016 in Guangzhou, which is a series international conference of IFToMM. 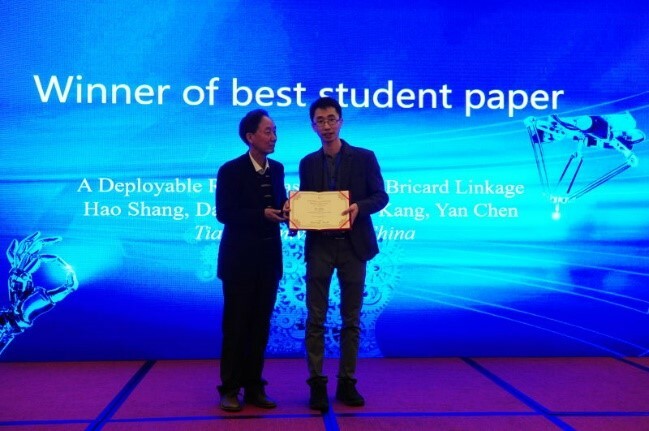 Hao Shang, a master student from MSL, won the best student paper for his work on “A deployable robot based on Bricard linkage” out of more than 100 accepted papers. The work combines a deployable Bricard linkage with a walking robot to achieve the active control for the morphology and gait of the robot, and therefore allows the robot to walk through highly constrained environments. 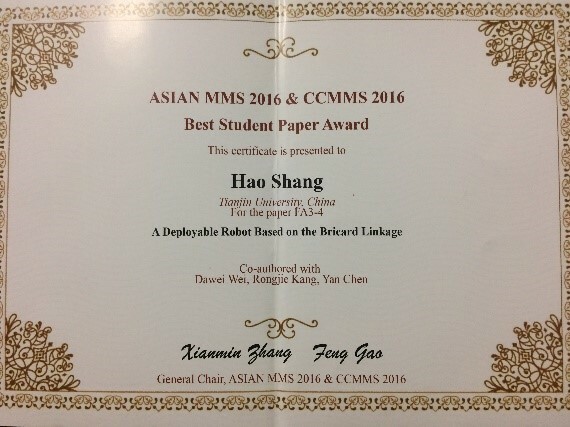 The work was supervised by associate prof. Rongjie Kang and prof. Yan Chen.